When will be Chilly Beach next episode air date? Is Chilly Beach renewed or cancelled? Where to countdown Chilly Beach air dates? Is Chilly Beach worth watching? hilly Beach is a Canadian animated series, which aired on CBC Television in Canada and The Comedy Channel in Australia. The series is a comedic depiction of life in the fictional Canadian town of Chilly Beach, described by the producers as "a bunch of Canadians doing the stuff that Canadians do, like playing hockey, drinking beer, and being eaten by polar bears." 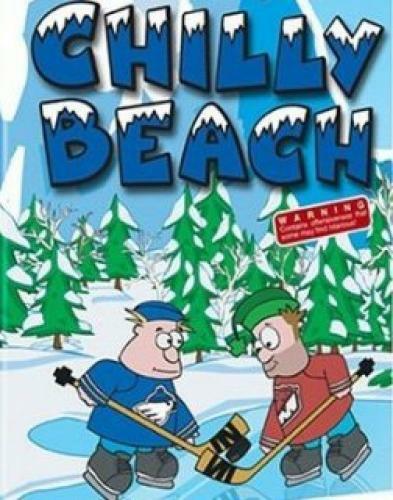 Chilly Beach plays on nearly every conceivable stereotype that people have about Canadians in a satirical manner. EpisoDate.com is your TV show guide to Countdown Chilly Beach Episode Air Dates and to stay in touch with Chilly Beach next episode Air Date and your others favorite TV Shows. Add the shows you like to a "Watchlist" and let the site take it from there.